1985-1988 Art Academy of Rotterdam, Netherlands. 1988-1991 Royal Art Academy of The Hague, Netherlands. 1991-1992 Art Academy of Trondheim, Norway. Galerie Nouvelle Image, Den Haag, Netherlands. NTH University of Trondheim, Trondheim, Norway. The art center ‘De Gele Rijder’, Arnhem, Netherlands. Flatland galerie, Utrecht, Netherlands. Galerie OZ, Paris, France. Hogeschool Utrecht, Utrecht, Netherlands. Galerie Fotomania, Rotterdam, Netherlands. Gallerie ACUD, Berlin, Germany. Hogeschool Utrecht, Utrecht, Netherlands. Museum of Modern Art Arnhem, Arnhem, Netherlands. Museum of Modern Art Arnhem, Arnhem, Netherlands. The Dutch Bank, Amsterdam, Netherlands. Künstlerhaus Dortmund, Dortmund, Germany. Konsthallen Bohusläns Museum, Uddevalla, Sweden. Gallery of Photography, Dublin, Ireland. LaSalle Banks, Chicago, USA. LaSalle Banks, Chicago, USA. Museum für Gestaltung Zürich, Switzerland. galerie deux, Tokyo, Japan. Scalo gallery, New York, USA. “Jacqueline Hassink, Mindscapes”, Huis Marseille foundation for photography, Amsterdam, Netherlands. Kunstbanken, Hamar, Norway. 19th Festival International des Arts de la Mode a Hyeres, France. Hoogehuys Corporate Headquarters Utrecht, Netherlands. “Car Girls” galerie Colette, Paris, France. “Arab Queen Bees”, Rencontre d’Arles 2005, France. “Jacqueline Hassink”, Kanazawa College of Art Gallery, Kanazawa, Japan. “The Power Show”, Huis Marseille foundation for photography, Amsterdam, Netherlands. “The Power Show”, Netherlands Photo Museum, Rotterdam, Netherlands. "Car Girls" Auto RAI Amsterdam in collaboration with Netherlands Photo Museum, Rotterdam, Netherlands. CONTACT Toronto Photography Festival, “Car Girls Installation” at Museum of Contemporary Canadian Art (MOCCA), Toronto, Canada. "Jacqueline Hassink - Fitting Rooms" - NL - The Dutch Cultural Pop-Up Space - London, Britain. "The Table of Power 2" - Galerie Wouter van Leeuwen, Amsterdam, the Netherlands. "Closed Shop", Jacqueline Hassink and Immo Kinko, Kaune Sudendorf. Köln, Germany. "The Table of Power 2," Museum of Modern Bologna (Mambo). “Tien Kunstenaars omsingelen een fort”, Kijkduin, Netherlands. “326168 synthesized days” Rom Galleri, Oslo, Norway. Project i Gamlebyen PIG, Oslo, Norway. PIG documentation show UKS, Oslo, Norway. “Nachtvorst in September” Theater Zeebelt, Den Haag, Netherlands. “ad HOCK” Henie Onstad Kunstsenter Høvikodden, Oslo, Norway. “Coincidence IV” IGNIS, Köln, Germany. “Life Magazine” Paradiso, Amsterdam, Netherlands. “De 6e zomer van de fotografie over Macht Onmacht” ICC, Antwerpen, Belgium. Galerie OZ, Paris, France. Central Space Gallery, London, UK. HEM-art ‘97, Hamar, Norway. Randstad headquarters, Amsterdam, Netherlands. UKS Biennalen: Henie-Onstad Arts Center, Oslo; Rogaland Kunstmuseum, Stavanger; Trondheim Kunstmuseum, Trondheim; Tromsø Kunstforegning, Tromsø, Norway. “Work & Culture”, Landesmuseum Ober-östereich, Linz, Austria. The exhibition traveled in 1998/1999 to: Berlin, Mannheim, London, Paris, Barcelona, Vienna and Milan. “Work & Culture; Gender- Work”, Landesmuseum Ober-östereich, Linz, Austria. “Kunst Rai”, Art Fair Amsterdam, Amsterdam, Netherlands. “3e Salon”, Central Museum Utrecht, Netherlands. Museum of Modern Art Arnhem, Arnhem, Netherlands. ”Stadslicht, Utrechtse stedelijke foto opdrachten 1996-1998”, Stadhuis Utrecht, Netherlands. Symposium Norge, Larvik, Norway. Ponton headquarters, Hamburg, Germany. Museum of Modern Art Arnhem “Nieuwe aanwinsten”, Arnhem, Netherlands. “Trade Show” Fotomuseum Winterthur, Winterthur, Switzerland. Herten International Photo Festival “Visions of Europe”, Germany. “Trade Show” Netherlands Photo Institute, Rotterdam, Netherlands. “The Global Complex”, the O. K.-Center for Contemporary Art, Linz, Austria. “Nederlandse bedrijfs fotoboeken 1945-1965”, Boijmans van Beuningen, Rotterdam, Netherlands. "Hausordnungen” Stadthaus Ulm, Germany. “Vrrooomvrrooom!” Nederlands Foto Museum, Rotterdam, Netherlands. 2003 International Noorderlicht Photo festival, Groningen, Netherlands. “the office”, The Photographers' Gallery, London, UK. “8 days” Hannover Kunstverein, Hannover, Germany. The exhibition is part of an exhibition commissioned by Jaeger-LeCoultre touring to; Kuala Lumpur, Singapore, Tokyo, Las Vegas, Sao Paolo, Barcelone, Vienna, Rome, Amsterdam, London, Munich and Paris. “the collection”, Huis Marseille foundation for photography, Amsterdam, Netherlands. “New Fall Faculty”, Carpenter Center, Harvard University, Cambridge, MA, USA. “Curious Wishes” commission by BMW, Palais de Tokyo, Paris, France. “the Rabo Bank Art Collection”, Gemeente Museum The Hague, Netherlands. “Red Carpet”, Kunstverein KISS, Untergrönningen, Germany. “Office Hours”, Neue Gesellschaft für Bildende Kunst, Berlin, Germany. “Marks of Honour”, Foto Museum Amsterdam (FOAM) & Van Zoetendaal gallery, Amsterdam, Netherlands. Victoria & Albert Museum, London, UK. “Art at the rockface”, Norwich Castle Museum & Art Gallery and The Millennium Galleries, Sheffield, UK. “Absolutely private”, Tokyo Metropolitan Museum of Photography, Tokyo, Japan. “Office Spaces”, curated by Alice Rose George and Lee Marks, Dorsky Gallery, New York, USA. “Everyday is not like everyday”, Foto Museum Amsterdam (FOAM), Netherlands. “DRESSCODE”, Historisches und Völkerkundemuseum & Neue Kunst Halle St. Gallen, Switzerland. “Clinic”, at the Salpetriere Chapel during Paris Photo 2006, Paris, France. “Clinic”, Museum of Contemporary Art Lyon, France. "Something That I'll Never Really See, Contemporary Photography from the Vicotria & Albert Photo Collection" Sainsbury Centre for Visual Arts, Norwich, UK. "Beauty Contest," White Space Gallery, London, UK. Photo London 2007 (White Space Gallery), London, UK. Photo LA 2007 (Cohen Amador Gallery), Los Angeles, USA. "Psycho woman," Fotohof Salzburg, Switzerland. "Clinic", Open Eye Gallery, Liverpool, UK. "Dutch Eyes," Netherlands Photo Museum, Rotterdam, Netherlands. "Un/Fair Trade" Neue Galerie Graz, Austria. Harvard University's "VES New Faculty 2007-2008" show, Cambridge, MA, USA. Touring show of contemporary photography from the V&A collection called 'Something That I'll Never Really See'. Arts Depot, Finchley; Nottingham Castle Museum; Hatton Gallery, Newcastle; Cartwright Hall Art Gallery, Bradford. "Clinic", Galerie Griesmar & Tamer, Paris, France. 'Something That I'll Never Really See'. Cartwright Hall Art Gallery, Bradford. group show Amador Gallery, New York, NY. 'Uit Japan' Galerie LUMC, Leiden, the Netherlands. "The Third Triennial of Photography and Video" on fashion, ICP, New York, NY. "400 year Dutch Art", curated by the Rijksmuseum Amsterdam and ING Bank, Okura Hotel, Tokyo. Art Chicago, Miami Art Fair, Paris Photo, Aperture Foundation. ‘Hidden Places’, Kaune Sudendorf Gallery, Köln, Germany. "Car Girls" Three Shadows Art Photography Centre, Beijing, China. "Embarrassment of Riches", MIA Minneapolis Institute of Arts. "WATW/Car Girls" Three Shadows Art Photography Centre, Beijing, China. "WATW/Car Girls" Netherlands China Art Foundation, Shanghai, China. "WATW/Car Girls" Guangdong Museum of Art, Guangdong, China. “CREDIT CRISIS-6 perspectives in art”, Huize Frankendael, Amsterdam, Netherands. "Digitaal? Analoog! ", Huis Marseille Museum for Photography, Amsterdam, The Netherlands. "Wir Manager! ", Vögele Kultur Zentrum, curated by Martin Heller, Peter Quadri, Pfäffikon, Switzerland. "The Mechanical Bride_Car Girls installation," Scotiabank Contact Photography Festival, Toronto, May 2010. Hyderabad/ National Gallery of Modern Art, Bangalore. Art Chicago, Aperture Foundation, Chicago, IL, USA. Art Amsterdam, Galerie Wouter van Leeuwen, Amsterdam, the Netherlands. Paris Photo Aperture Foundation, Paris. Art Cologne, Kaune Sudendorf Gallery, Cologne, Germany. "Art dinner The Table of Power 2," Huize Frankendael, Amsterdam. "IKJIJWIJ," Rabo Kunstzone, Utrecht, Netherlands. "Corporations are People too", Ed Winkleman gallery, New York City. "Closed Shop", Kaune, Sudendorf Gallery, Köln, Germany. Commission Olympic Games, The Photographers' Gallery, London, Britain. Power Finalists' Exhibition Prix Pictet, Saatchi Gallery London. Power Prix Pictet, Bernheimer Fine Art Photography, Munich. PAN Amsterdam art fair, Galerie Wouter van Leeuwen, Amsterdam. Paris Photo-Aperture Foundation PhotoBook Awards, Paris. "Recent Acquisitions_Doubling Presence" presentation Huis Marseille at Paris Photo, Paris. "Feest van het Fotoboek," Het Nederlands Fotomusuem, Rotterdam, The Netherlands. "Through an open window, Contemporary Art of the Rabo Art Collection", Institut Néerlandais, Paris, France. Power Prix Pictet, Istanbul Modern, Istanbul, Turkey. Power Prix Pictet, Huis Marseille, Amsterdam. Power Prix Pictet, Hungarian House of Photography, Budapest. Power Prix Pictet, Gallery of Photography, Dublin. Vögele Kultur Zentrum, Pfäffikon, Switzerland. Paris Photo Los Angeles, Installation Car Girls, Aperture, Los Angeles. Filosofie Nacht, Beurs van Berlage, Amsterdam. Dutch Doc Award 2013, Tropenmuseum, Amsterdam. 1996 scholarship for projects from the city of Utrecht/ commission Fortune Magazine "Tables of Power"
2003 (Arles, France) / final candidate commission by Rem Koolhaas and NAI publishers to document Rem Koolhaas building ‘the Dutch Embassy’ in Berlin. 2005 “Queens Day Book”, commissioned by Kai Zastrow (Amsterdam) / “Carrara portraits”, commissioned by Bilanz magazine (Zürich) / "Marks of Honour," commission Schaden.com (Köln, Germany). 2007 commission by the Netherlands Inter Universitair Art Historic Institute in Florence. 2010 ISRAEL: PORTRAIT OF A WORK IN PROGRESS (2008/2009/2010) curated by Frederic Brenner, France. artists: Gabriele Basilico, Wendy Ewald, Frank Gohlke, Rip Hopkins, Valérie Jouve, Rinko Kawauchi, Martin Kollar, Josef Koudelka, Gilles Peres, Sophie Ristelhueber, Paul Shambroom, Stephen Shore, Alec Soth, Frank Thiel, Lars Tunbjörk, Nick Waplington, Thomas Struth. 2013 shortlisted DutchDoc Award, Utrecht, the Netherlands. Department of Foreign Affairs of the Netherlands (The Hague), Hoogehuys Corporation (Alkmaar) / BMW art collection (Munich) / Victoria and Albert Collection (London) / Stedelijk Museum (Amsterdam), Private Collection (Chicago), Leaseplan (Almere), ING Bank (Amsterdam). Jacqueline Hassink is a Dutch visual artist. She lives and works in New York City. 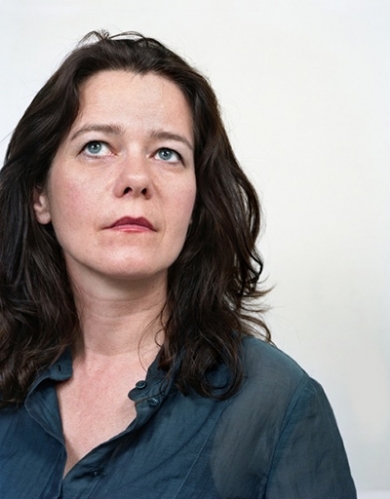 Hassink is well known for her global art projects that deal with the world of economic power. Her work represents visual, graphic, and sociological maps of the axes of global economic structures. Her first art project, The Table of Power (1993–95), was followed by projects such as: Female Power Stations: Queen Bees (1996–2000), Car Girls (2002–08), Haute Couture Fitting Rooms, Paris (2003–12), and The Table of Power 2 (2009-11). Hassink’s work has been widly collected and exhibited, including shows at Huis Marseille in Amsterdam; Fotomuseum Winterthur, Winterthur; Amador Gallery and ICP in New York; Tokyo Metropolitan Museum for Photography, Tokyo; The Photographers’ Gallery and the Victoria and Albert Museum in London and the Guangzhou Museum of Modern Art, Guangzhou. Hassink has lectured at Harvard University in conceptual photography and at the International Center for Photography in New York. Recentlty Jacqueline is shortlisted for the Prix Pictet 2012, the world's first prize dedicated to photography and sustainability. Starting at th Saatchi gallery in London 9 October 2012, the Prix Pictet exhibition is now on world tour. Her new book The Table of Power 2, was nominated for the '2012 Paris Photo/ Aperture Book Award' as one the ten best photo books of the year. The book appeared on the shortlist for the 'PHotoEspaña Best Photography Book of the Year Award', and received a second place. In March 2013 she has been shortlisted for the Dutch Doc Award 2013, the only price for Dutch documentary photography. Hassink's work has appeared in The Financial Times, Le Monde, The New York Times, El Pais, Frankfurter Allgemeine, Süddeutsche Zeitung, Reuters, De Standaard, NZZ, Newsweek, Fortune, Wired and more.